The Mary Rose Trust are very excited to be working with Micropasts again. This time, we will be working towards the production of a 3D model of the Mary Rose bell, one of the most iconic items to have been raised from the wreck site. The bell recovered from the Mary Rose was one of the last items to be recovered from the wreck site (it was found under the ship below the starboard side). 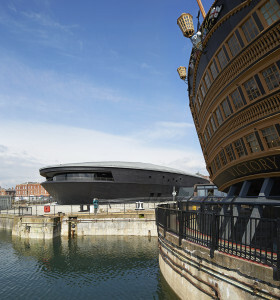 It was also the last item to be placed into the new Mary Rose Museum. 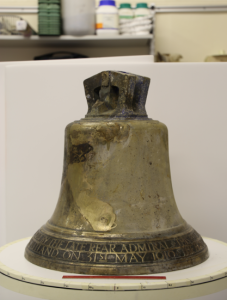 At the Museum’s media launch in May 2013, the bell was processed into the museum by the ship’s company from the Navy’s latest Type 45 warship, HMS Duncan. 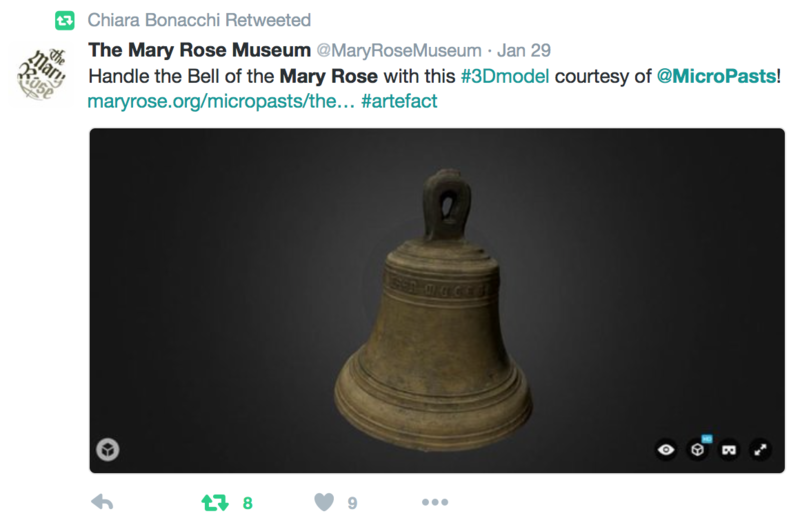 The bell was cast in bronze and metallurgy results showed it was made from copper (82%), tin (15%) and lead (1.7%). The Flemish inscription at the top reads ‘Ic ben ghegoten int yaer MCCCCCX’ which translates as ‘I was made in the year 1510’, the year that the Mary Rose was commissioned. On board ships, the bell was used to signal the time, to mark the change of the watch and as a warning, particularly to other ships in fog. 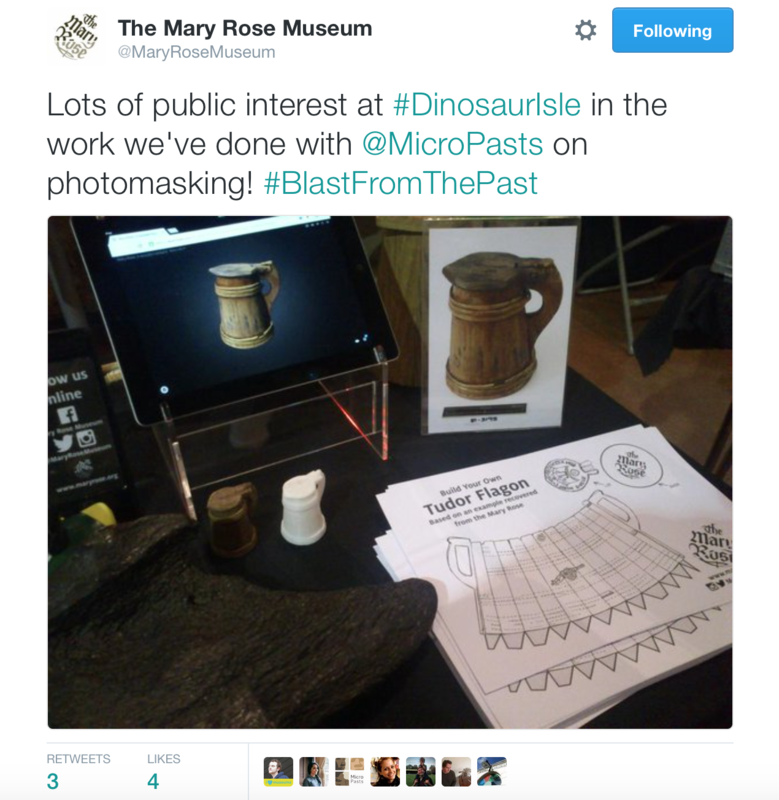 On Friday 22nd May, the Mary Rose Trust and MicroPasts teams launched a collaborative 3D photo-masking pilot project on the MicroPasts crowdsourcing platform. 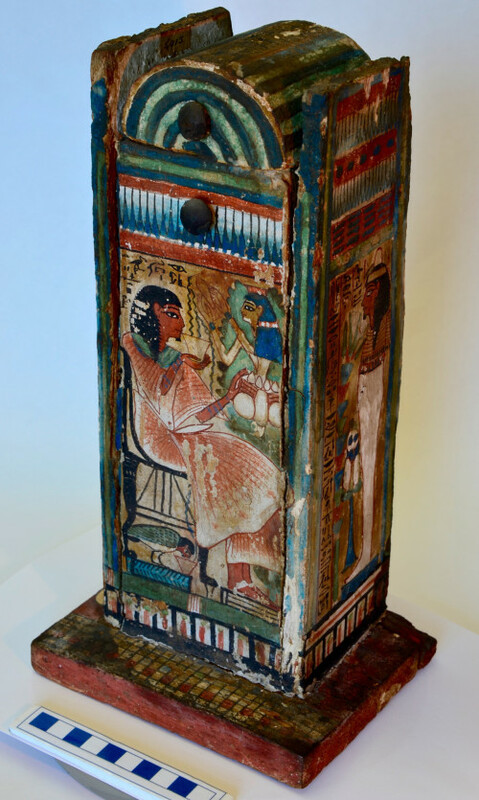 The aim is to create 3D models for three of the museum’s artefacts. We are really grateful to MicroPasts collaborators for helping complete 37% of the application already (as of 29th May)! 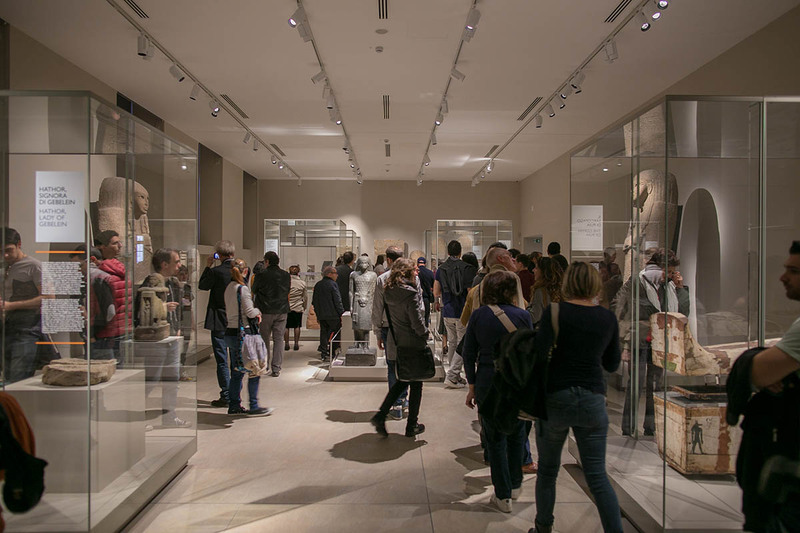 It is exciting to see people engaging with the collection online, and it will be interesting to discover how the 3D models are viewed, downloaded and used, once developed. 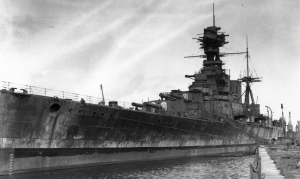 With the project now underway, we would like to take the opportunity to provide some background information on the Mary Rose, the Museum and the artefacts included as part of this first pilot project with MicroPasts. The Mary Rose was a Tudor warship that sank during a battle with an invading French fleet near Portsmouth, on the South coast of England, in 1545. 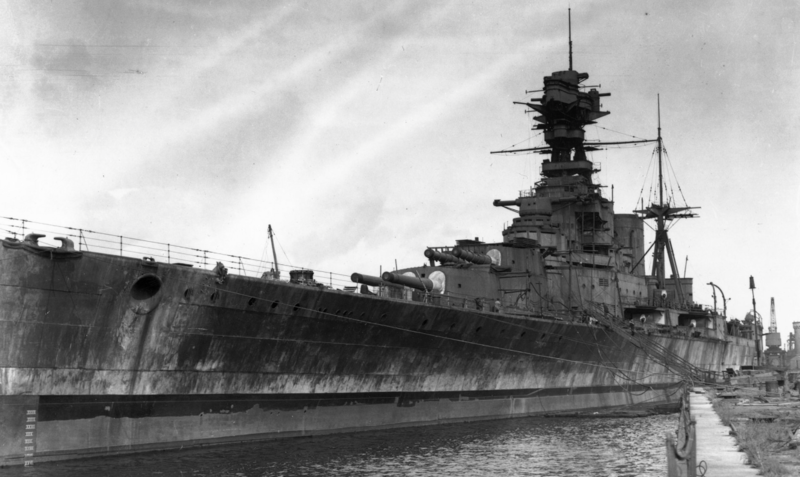 The hull and her contents were covered (and preserved) by the silts of the Solent. They remained there until they were rediscovered in 1971. Following one of the largest maritime excavations ever undertaken, the hull was eventually raised on 11th October 1982. In May 2013 a new purpose built museum, that reunited the hull and thousands of her artefacts, was opened to the public. The hull, at the centre of this museum, is undergoing an air drying treatment. This is the final stage of her conservation, a process that has lasted over 30 years. 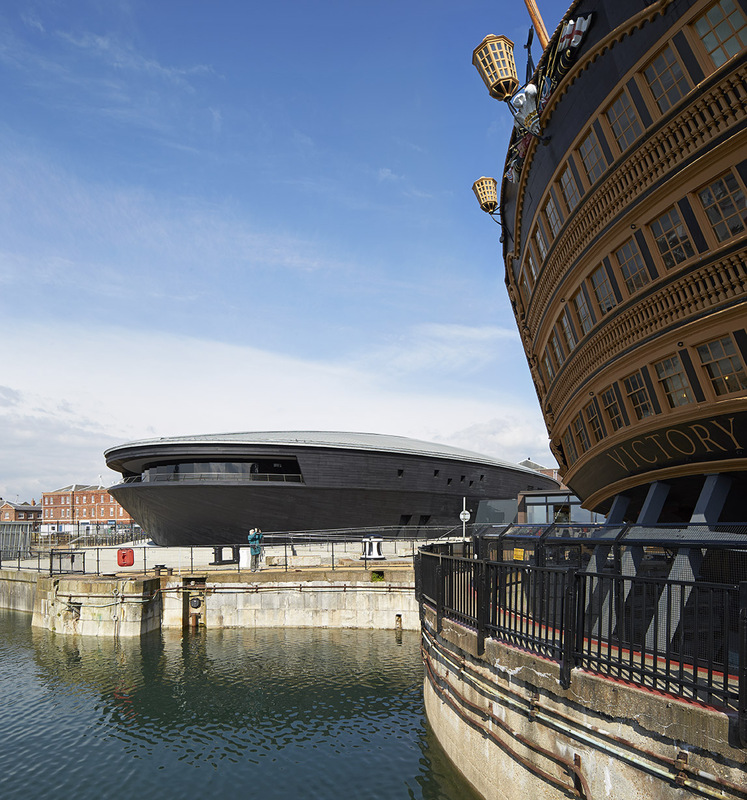 In 2016, the air drying will be completed, the museum will be closed while the walls surrounding the hull are taken down and the museum will then be re-opened with amazing new views of the hull throughout the building. The bone plaque of two angels was identified as being similar to those made in the Northern Italian workshops of the Embriachi family who produced a variety of luxury objects such as mirrors, caskets and triptychs that incorporated a series of bone or ivory plaques with stained wood and horn. 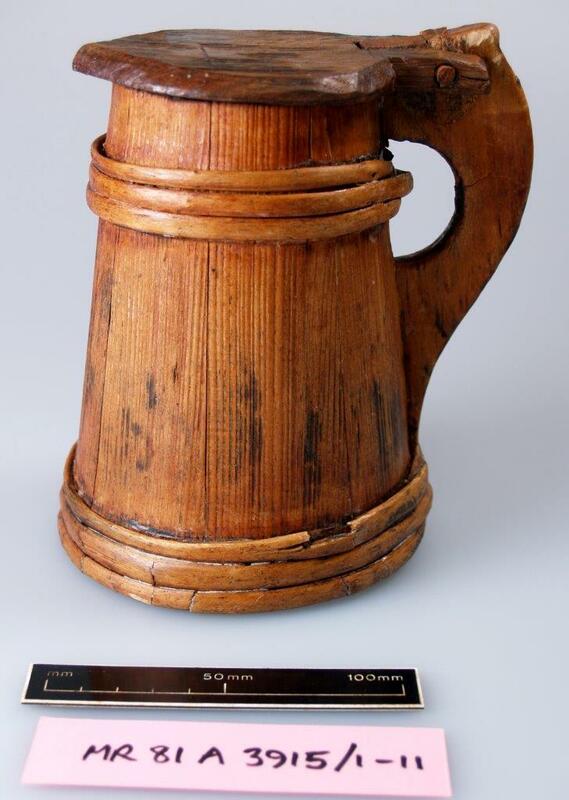 The staved wooden tankard was one of the most complete tankards recovered during the excavations on the Mary Rose. It is interesting to note that oak, poplar, pine, beech and willow were all used in its construction. 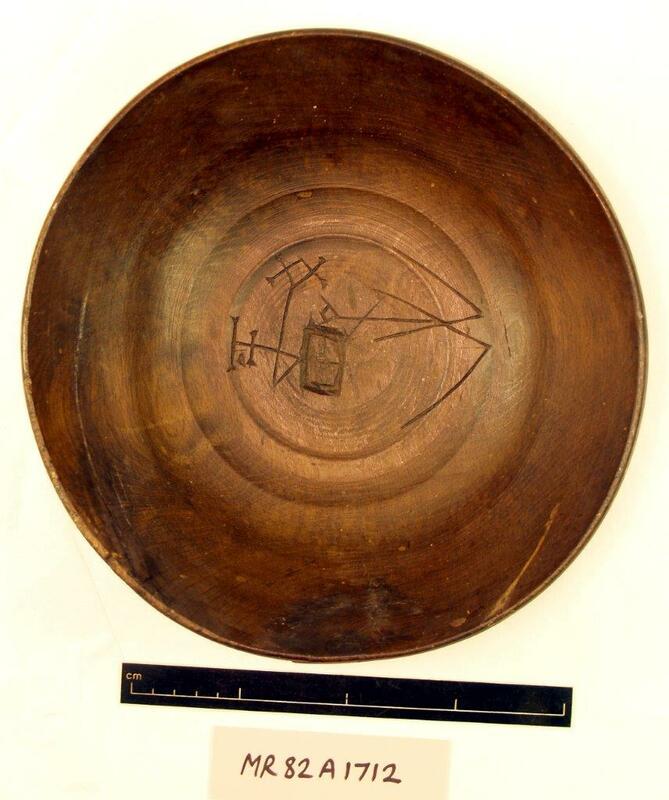 The beech wooden bowl is one of 30 recovered during the excavations and it has one of the more intricate set of markings on both the inside and outside. These are thought to denote its ownership. 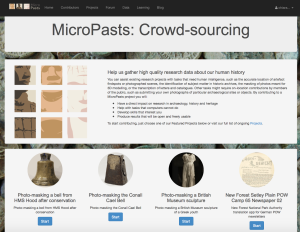 If you have missed the MicroPasts conference on ‘Crowdsourcing and Crowdfunding our Human Past’, on 31 March 2015, you can now catch-up! 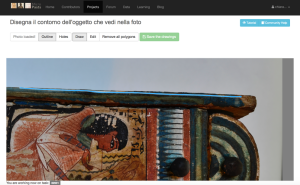 We are publishing the videos of the presentations given on the day on our MicroPasts YouTube channel. Have a look and let us know any thoughts or questions! 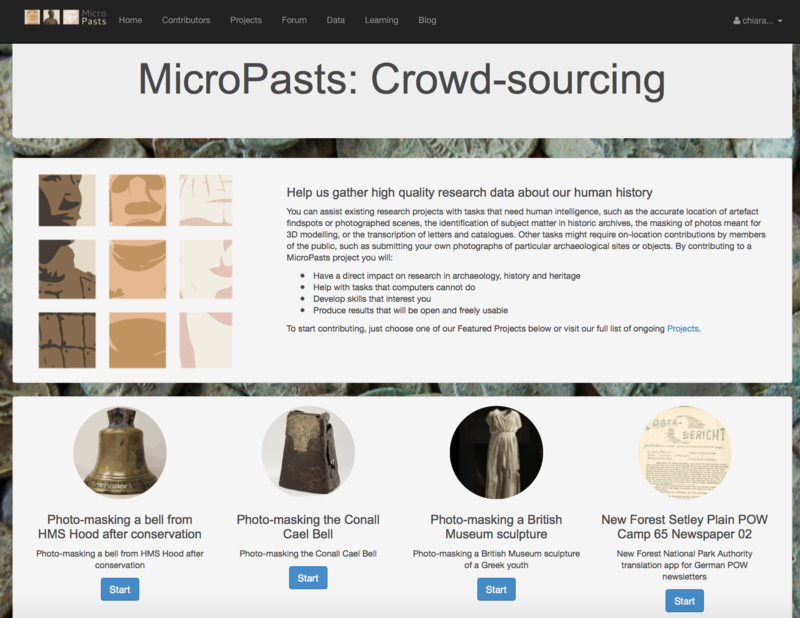 We’ve just launched the latest part of theMicroPasts project: a crowd-funding website. 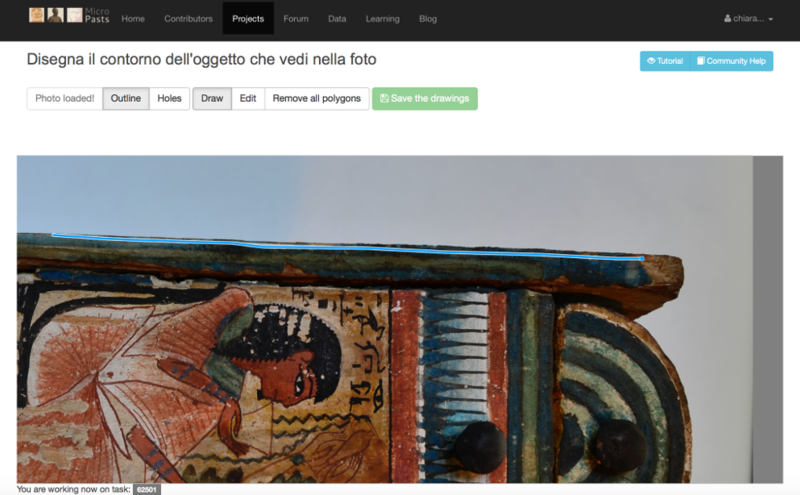 Have a look at https://crowdfunded.micropasts.org and see if you can help. 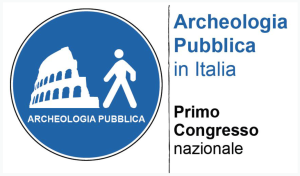 Through this website, it is possible to raise up to £5,000 to fund archaeological or historical research projects that have been developed and will be undertaken collaboratively by professionals with institutional links (e.g. working in universities, museums, libraries, etc.) and any volunteer group offline or online. We welcome project proposals from any team,who can be based anywhere in the world. The only kind of activity that we do not fund is excavation. For more information on how this all works, please see https://crowdfunded.micropasts.org/how-it-works. If you have a project in need of funding, you can submit a proposal online. We will review it and, if it fits the requirements, you will be able to start your fund-raising campaign. 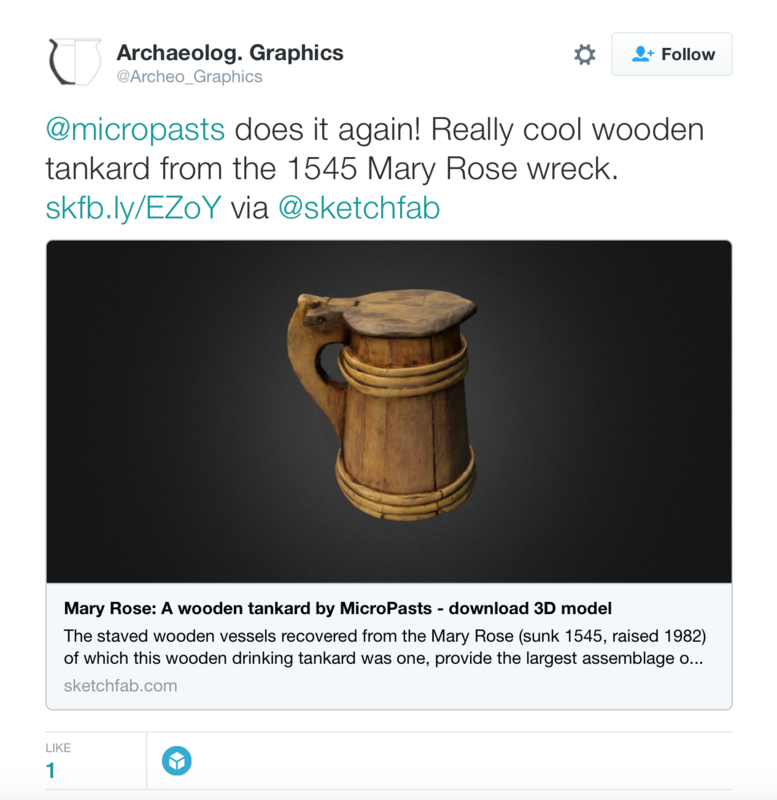 If you have an idea for a project, but don’t know a ‘professional’ archaeologist or historian to partner with, please do post your idea on the MicroPasts community forum (http://community.micropasts.org) and we will try to help out. 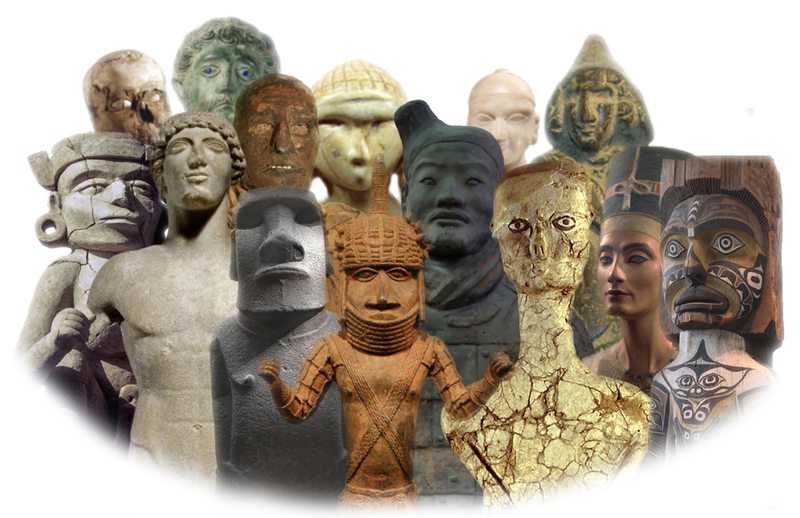 A presentation given by Andy Bevan at the Institute of Archaeology Research Seminar Series, UCL Institute of Archaeology, 6 October 2014. 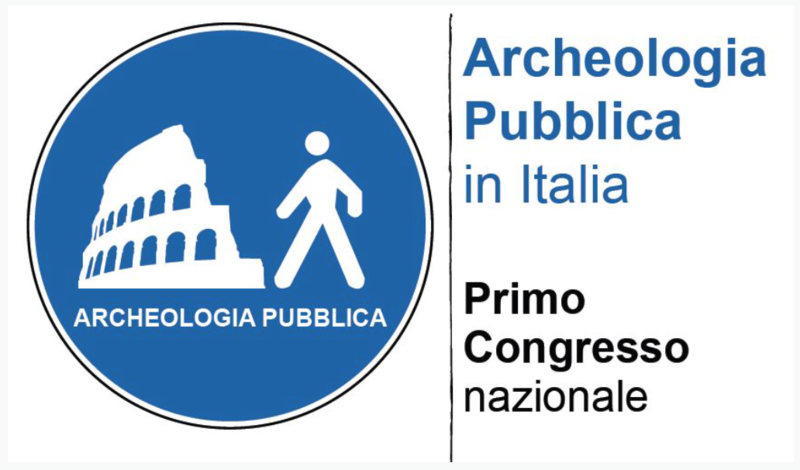 A presentation given by Chiara Bonacchi at the 20th annual meeting of the European Association of Archaeologists, Istanbul, 10-14 September 2014.